Users of Trove, the National Library of Australia’s website, are spoilt by the historical newspapers they provide. You simply won’t find the quantity and the and quality of what they offer matched elsewhere in the world. And what’s more, is that it is totally FREE! With over 15 million pages scanned, coming from almost 900 newspapers, there’s no slowing down for the team historical newspapers department at the National Library of Australia. They are pleased to announce that the following newspapers have now been digitised by the National Library of Australia through the Australian Newspaper Plan program. Now if you thought the list above was impressive, just check out the “coming soon” list below, which they say should be done by June 2015. That just looks like fun for everyone!! These titles have been funded for digitisation by various contributors, each of which are indicated in square brackets after the title name. Those without brackets are by the “National Library of Australia and selected by Australian Newspaper Plan Libraries”. *Both of these issues predate the earliest issue (6 Sept 1856) digitised on Trove. This is significant because the Williamstown Trade Circular, which later became the Williamstown Chronicle, was the first suburban newspaper in Melbourne. 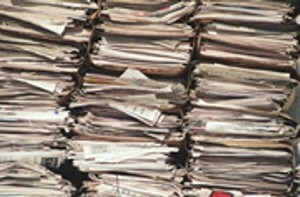 If any individual or organisation, is interested in funding a newspaper for digitisation click here for more details. I hope they add early Warrnambool papers soon. This is such an old Port in Victoria. Thank you for adding to W A list of newspapers.